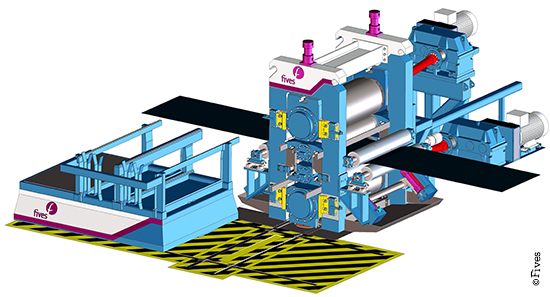 Fives and Shanghai STAL Precision Stainless Steel Co., Ltd. signed a contract for design, manufacturing and supply of a unique new 20Hi cold rolling mill. The new mill is designated for STAL’s new stainless steel plant in Shanghai’s Xin-Zhuang industrial zone in China. Fives participated at the SEAISI conference and exhibition, organized by the South East Asia Iron and Steel Institute, on May 30 - June 2, 2016 in Hanoi, Vietnam. Fives presented its multi-expertise offer at the AISTech show, steel’s premier annual technology event, which took place on May 16-19, 2016 in Pittsburgh, Pennsylvania, USA. For high quality finishing, a skin-pass mill is essential to remove the yield-point elongation effect and greatly improve the strip-surface roughness and flatness. Fives participated at the conference “Survival Strategies & Cost Effective Technologies for Indian Steel Industry” organized by Steel & Metallurgy magazine on April 27, 2016 in Kolkata, India. The exhibition “Tube and wire” in Düsseldorf, the world’s most important trade fair for tubes and the tube processing industry, gathered more than 2,600 exhibition companies and 69,500 visitors from more than 130 countries during April 4-8, 2016 in Germany. 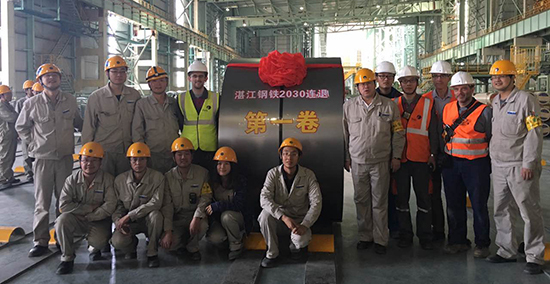 Guangxi Iron & Steel Group Co., part of WISCO group, and Fives have successfully processed the first hot coil on a new continuous annealing line (CAL) on March 15, 2016 for the new 10 million ton plant in Fangchenggang, at the southern coastal region of China. Philippine’s’ SteelAsia Manufacturing Corp. (SteelAsia), one of the world’s largest rebar manufacturing companies, entrusted Fives with a contract for a new reheating furnace at its Meycauayan Works in the Philippines. On February 29, 2016, the first hot coil was successfully produced on the continuous annealing line of Baosteel Zhanjiang steel plant in the southeastern Guangdong province of China.